Universal Pictures is returning to its famous monster roots with Dracula Untold, a new take on the ancient legend, which reveals the iconic vampire's true origin tale. In theaters this fall, arriving just in time for Halloween, Luke Evans stars as Prince Vlad, a fierce warrior who fights for his people and must make a dark pact to ensure their protection. This leads him down a supernatural path that will ultimately turn him into the vampire we all know and love. 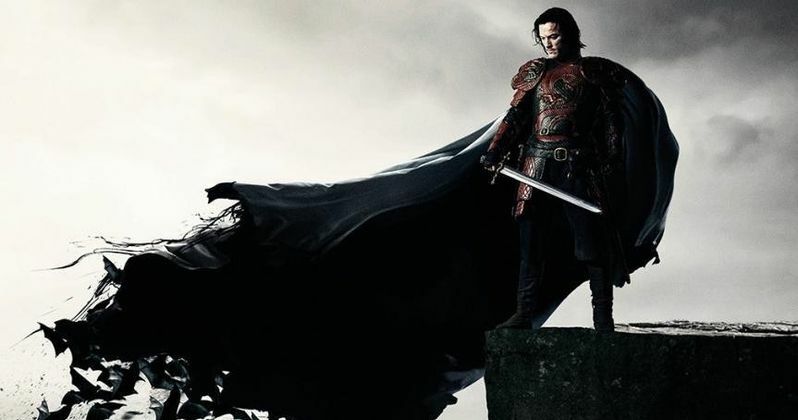 Check out the international poster and a new photo of Luke Evans as Vlad the Impaler, which finds Universal turning Dracula into one of the good guys.